You may have heard that there’s a live action short film that sets up the events of Far Cry 5, and you may have even watched it. The 30-minute film was previously available for Amazon Prime members, but is now free for all viewers on the official Ubisoft YouTube channel. You’ll be able to play all of Far Cry 5’s missions with a friend, and here’s our list of the PC’s best co-op games. Unlike many of Ubisoft’s uploads, this one doesn’t appear to be region-locked, so you should be clear to view it wherever you are. Far Cry 5’s sales numbers are blowing up, so if by chance you haven’t dived in yet this is a solid way to get introduced to Hope County. Update, March 5:The live-action Far Cry 5 prequel is now available for streaming. Ubisoft revealed the trailer for their live-action Far Cry 5 prequel last week, and the short film is now available in full – if you’re an Amazon Prime member.Far Cry 5: Inside Eden’s Gate, as the title suggests, showcases the inner workings of the game’s cultist antagonists. The film centers on a group of vloggers set on researching the cult, and as you might imagine things don’t go super well for the documentarians. Amazon Prime members can watch the 30 minute film now across the usual set of supported devices. After a brief delay, Far Cry 5 itself will be out on March 27, which is quite soon. Check out the system requirements, or get a preview of what the season pass will entail while you wait. Original story, March 2: A live-action short film about Far Cry 5’s sinister cult and its leader comes out Monday, and Ubisoft have released an announcement trailer. You can check it out above. 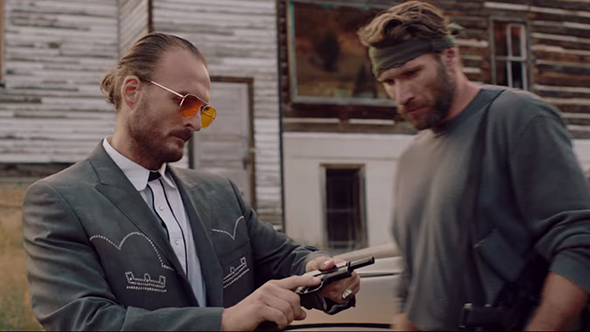 The trailer dovetails with the live-action promo for Far Cry 5 Ubisoft released earlier this week – both feature Greg Bryk as Joseph Seed (who he also voices in-game), leader of the Eden’s Gate cult that players will be facing off against when the game comes out March 27. The short film, called Inside Eden’s Gate, also features Kyle Gallner, who has appeared in American Sniper and CBGB. A group of vloggers venture to Hope County to investigate reports of missing locals, and wind up running smack-dab into Seed and his merry band of fanatics. It all looks appropriately sinister, but the trailers also show off some of the beautiful Montana wilderness that will undoubtedly feature prominently in the game. The film comes out Monday, but the catch is that it’ll be exclusively available on Amazon Prime Video.